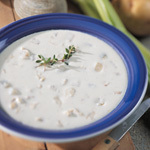 "Bay Shore" Shrimp and Corn Chowder 20 oz. 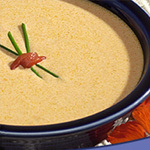 Gulf shrimp and roasted corn are delicately combined with red peppers, potatoes, New England dairy cream and butter, with southwestern spices creating a hearty and flavorful delight. 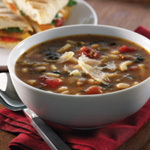 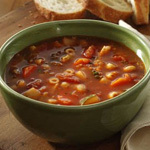 Made by Bay Shore soups and Chowders, shared by Alfredo's!